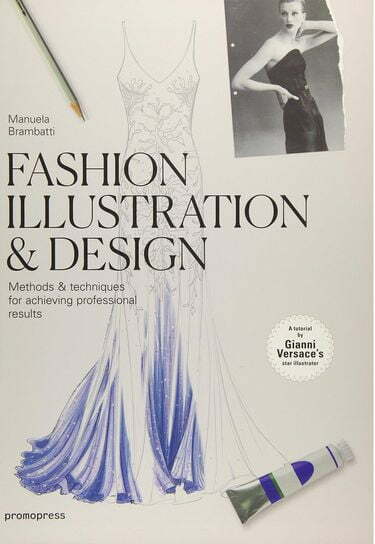 A design tutorial by Manuela Brambatti, Versace's chief design illustrator, the book is an idea of couturier Flavio Marconi who, impressed by her drawing style, her unique taste designing fashion collections and the precision with which she captures the flow of fabric over the body, convinced her to put it into print. Here Brambatti reveals her fresh and innovative style, not better than others, as she writes, but orginal and distinctive for Versace’s workshop, halfway between fashion sketching and illustration. Manuela Brambatti began to work in the fashion world in the late '70's for the fashion magazine Style and for other magazines. She has collaborated with Giorgio Correggiari, Krizia, and Gian Marco Venturi. Employee, and later exclusive partner of the Versace fashion house from 1981 to 2009, Manuela, was crucial in setting standards in the Style magazine for the presentation of all fashion collections and their illustrations and, in recent years, the Home Collection of the Brand. Manuela Brambatti began her career in the fashion world in the late seventies through working for Style and other fashion magazines. She has collaborated with Giorgio Correggiari, Krizia and Gian Marco Venturi, but her most important and far-reaching experience is her work with Gianni Versace. As an employee and later exclusive partner of the Versace fashion house from 1981 to 2009, Ms. Brambatti played a crucial role in setting standards with regard to the presentation and illustration of fashion collections and, in later years, of the Home Collection. Currently a freelancer, she works with various young contemporary designers and jewellery houses and produces illustrations for firms in the fashion and design industries. 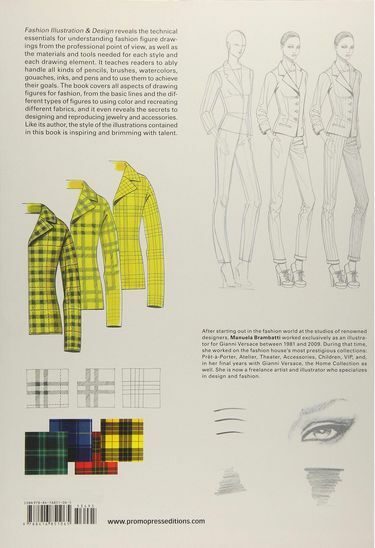 Her designs are featured in several books on Versace. Bruno Gianesi joined Gianni Versace?s design team in 1984, where he remained for sixteen years as head stylist and manager of theatrical projects. He designed and curated the creation of costumes for respected choreographers and directors such as Maurice Bejart, Roland Petit, William Forsythe and Bob Wilson, and he also designed clothing for famous members of the international jet set, including Elton John, Madonna, Lady Diana and Sting. Bruno?s art has naturally evolved to take a more intimate direction through painting, and he has shifted his creative focus from the outside world to his own interior microcosm. Tony di Corcia works as a professional journalist, though he graduated from university with a degree in law. He has written about fashion for the newspapers Corriere della Sera and Repubblica, and he also runs the website Viveur.it. He has published a book featuring interviews with Versace entitled Gianni Versace: lo Stilista dal Cuore Elegante, as well as a biography on the famous couturier and a collection of interviews with different people on Versace.